LIMA — Lima Senior senior Ceyshon Huggins was named this year’s Lima winner of the Omega Psi Phi Fraternity scholarship. He was recognized at a recent banquet in Troy. The scholarship goes to the African-American male with the highest academic standing at the school. Huggins maintains a 3.7 grade-point average. The son of Erin Dunson and Calin Huggins, he is enrolled in Lima Senior’s engineering program. 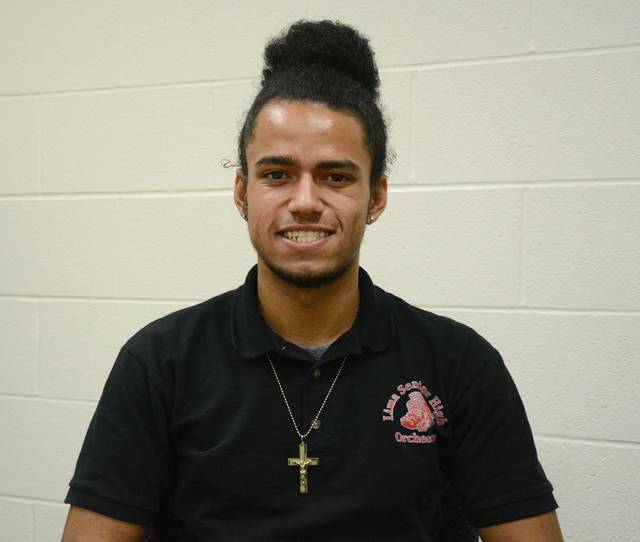 He is a member of the National Honor Society, GSA/Spectrum and Youth and Government program. Huggins plays the viola in Lima Senior’s Orchestra, Satin Strings ensemble and the Lima Area Youth Orchestra. He was a member of the Spartan football team and plans to play lacrosse in the spring. He was a member of this year’s Lima City Schools Hall of Fame Selection Committee. Huggins intends to pursue a career in either sports medicine or engineering.